All children ask permission from each other before they start and say ‘thank you’ to their partner at the end. 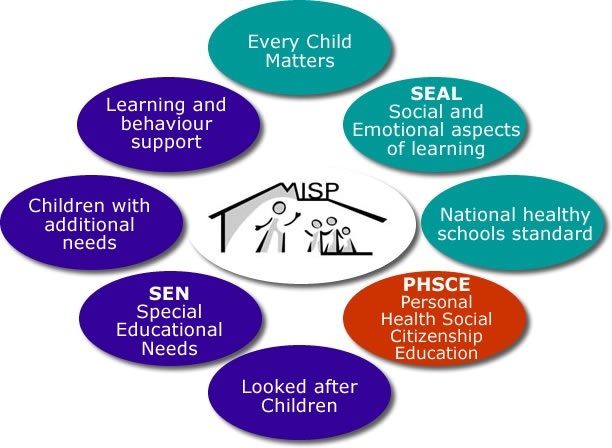 The MISP is an effective tool for improving child mental health and has had positive benefits for the children participating, such as improved concentration and increased confidence. Children are empowered to make choices and they develop respect for the needs and feelings of others. Members of the school community and parents are consulted before implementing the Massage in Schools Programme, which links to aspects of the school curriculum. I like doing the massage because it is calm and gentle. When I give massage I feel good because I feel like I have helped someone relax. Since doing massage my handwriting is better. Children enjoy it very much. It creates a calm environment and children become more careful about the way they behave towards others. They are thoughtful and considerate. Parents and other staff can see the benefits. Children have learnt how to respect each other and be polite. Children have enjoyed working with all their peers. It calms children after lunch so they are ready for the afternoon session. It encourages tactile learning .It supports our anti-bullying policy. Children are more caring to each other, especially those who have not shown this side of their nature. Joe enjoys the massage sessions. He is very good at relieving headaches and stress when massaging me. He also massages his disabled sister. Parent of boy in year 5. Milly was very enthusiastic about the massage programme and loved to try out all the new moves. I enjoyed being her guinea pig! I liked the way each technique was given a 'child friendly' name. IF YOU ARE A TEACHER INTERESTED IN BRINING THIS TO YOUR SCHOOL PLEASE E.MAIL ME TO ARRANGE AN INITIAL MEETING.